Some of the best resorts in Jamaica are clustered around Montego Bay on the west coast. You’ll be tempted to stay inside your resort and lounge by the pool and watch the sunset every night, but be sure to get out and explore a little. Here are some suggestions from a traveller who’s been to Jamaica a half-dozen times. Houseboat Grill: This is a wonderful restaurant in MoBay that you reach by taking a very short bridge from the shore. It’s a beautiful ship that bobs in the quiet waters of the bay, with both inside and outside (snag those if you can) seating. Look for super-fresh seafood and lots of great Jamaica specialties on an island that doesn’t get enough credit for its great cuisine. The boat is docked inside the Montego Bay Marine Park Fish Sanctuary. Greenwood Great House: This is a gorgeous, historic home that sits on a hill overlooking the coast and the sparkling blue waters of the Caribbean. There are wonderful displays about Jamaican history, and tours aren’t expensive. There’s an antique museum on site and much of the furniture is original. There’s also a pretty garden and a cute pub, where you can cool off with a cold beer or soft drink (or something stronger) on a warm day. Construction began in 1780 by the Barrett family (British poet Elizabeth Barrett-Browning was part of the family). 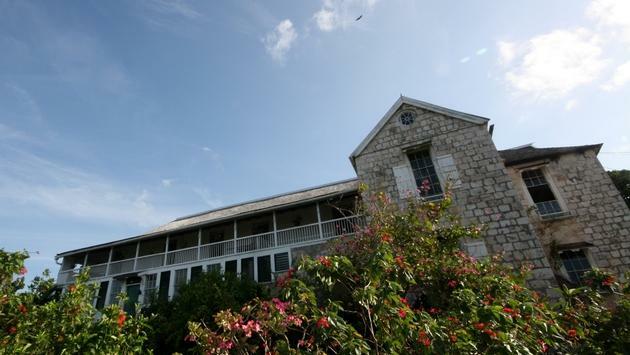 Greenwood Great House is a marvellous place to learn about Jamaican history. Sam Sharpe Square: This is another great spot for people-watching. But instead of visitors, you’re more likely to run into locals out doing their shopping rounds. The square is lined with bright, colourful buildings and features a monument to Sam Sharpe, a pivotal anti-slavery figure who looms large in the island’s history. There’s also a small building called The Cage, which has been used to house everyone from runaway slaves to boisterous drunks who might have sampled too much Appleton Rum. You’re also close to the Montego Bay Museum, which explains the history of this important port city. Doctor’s Cave Beach: This is a private beach, but it costs only about $8 to enter. The people-watching and sunsets are terrific, and there’s good snorkelling in the area, too. Be sure to wander over to the Sand Bar for fun, casual dining. You can usually rent lounge chairs or umbrellas on the beach. Right in the heart of Montego Bay. A visit to Montego Bay isn’t complete without a meal at Scotchie’s. cotchie’s: This is a legendary spot near the MoBay airport, making it a convenient stop for hungry travellers headed back home, or folks who’ve just arrived and have a hankering for some Jamaican food. 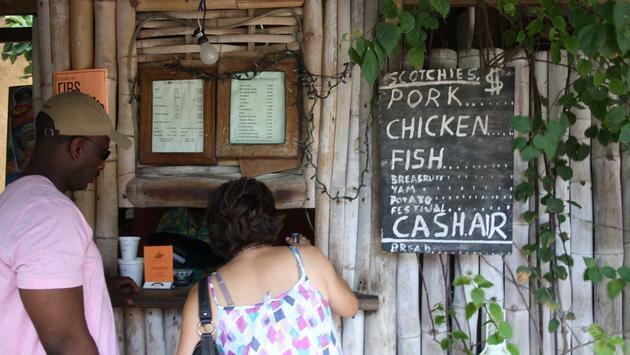 They do jerk chicken in a rich, slightly spicy sauce, as well as barbequed fish, sausages and other treats. Place your order, and be sure to include some sides such as breadfruit or “festival,” along with a cold drink. There are plenty of shady spots, so you won’t have to worry about a sunburn. The Hip Strip: This is the heartbeat of Montego Bay for visiting shoppers, a short stretch along Gloucester Avenue near the water that’s lined with fun souvenir shops and more than a few bars, all of them happy to serve a frosty glass of cold Red Stripe Beer. Margaritaville Restaurant (part of the rapidly expanding Jimmy Buffett chain of restaurants and hotels) has a huge water slide that drops you into the warm ocean water. Blue Beat Ultra Lounge has more of a Miami South Beach feel for a more sophisticated vibe.